Master Yang started T.G. (Taekgyeon) on Mar. 1995 training continuously and started teaching in 1998. He considers T.G. 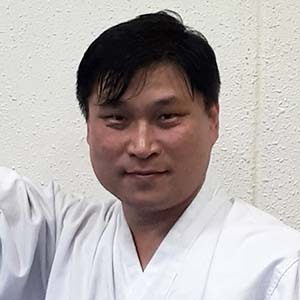 is the most beautiful martial art which represents the history of Korean traditional martial arts, and has very reasonable ways to compete with others under safe regulations, whereas contains dangerous skills without any regulation. And so, T.G. could be designated as Korea National Intangible Cultural Heritage No. 76 on 1, Jun. 1983, and listed on Intangible Cultural Heritage of Humanity of UNESCO on 28, Nov. 2011. The strength of Master Yang as a Master of T.G. is teaching people in easy and clear ways with motor dynamics understanding. Even, most foreign people who want to learn T.G. in Korea, would meet him as a proper teacher. He is currently working on his own teaching systems for world-wide people who want to be T.G. practitioner.